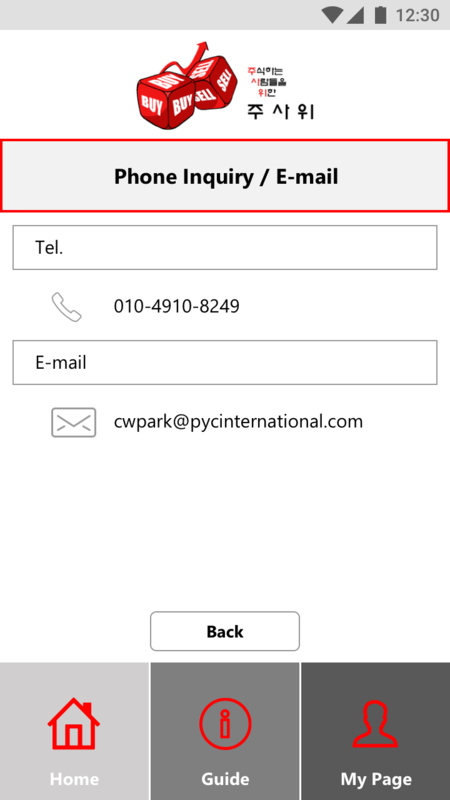 PYC International a South Korea based company, affiliated with the Pumyang Group, had a requirement for an application regarding the stock markets in South Korea. They brought out a tool that provided guidance through the different aspects of investments and stocks in South Korea. 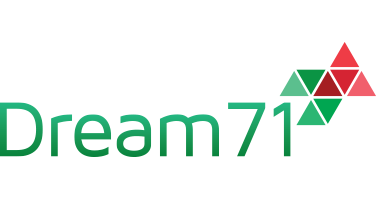 Dream71 Bangladesh Limited welcomed that opportunity and immediately began working on the project. After a productive development phase, a successful application was created by Dream71 Bangladesh Ltd. for stock market of Korean in Android Platform. The application has designed in a way so that it would display various return rates and recommendations from stock market experts. News services would also be provided within the app. The degree of membership would dictate the access to information received by the consumer. Free Member: Platinum membership is initially provided on a temporary basis. Once the trial is completed, members will only be able to view news and general advice from experts. Gold Membership: Will receive direct advice from 2 experts. 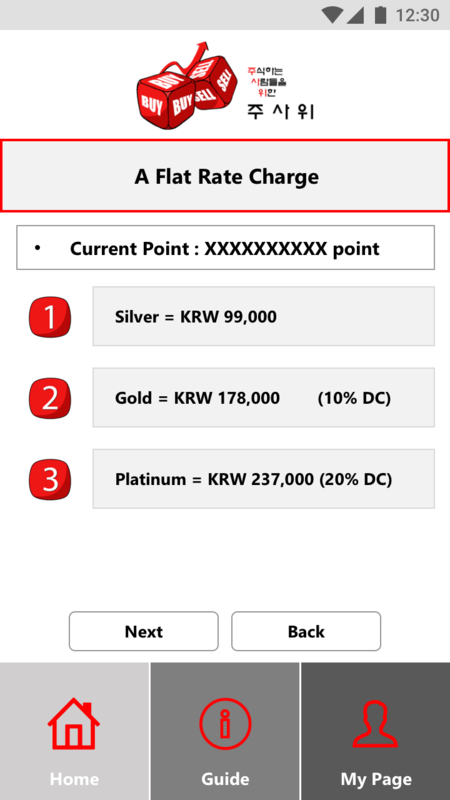 The monthly fee will be 178,000 KRW. Platinum Membership: Will receive direct advice from 3 experts. The monthly fee will be 237,000 KRW. 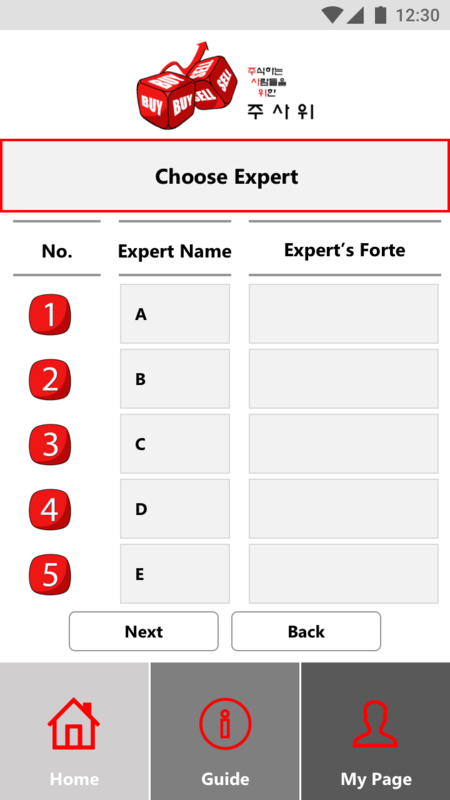 The mobile application was completely based on Java coding. This is a common form of coding applied in Android applications. 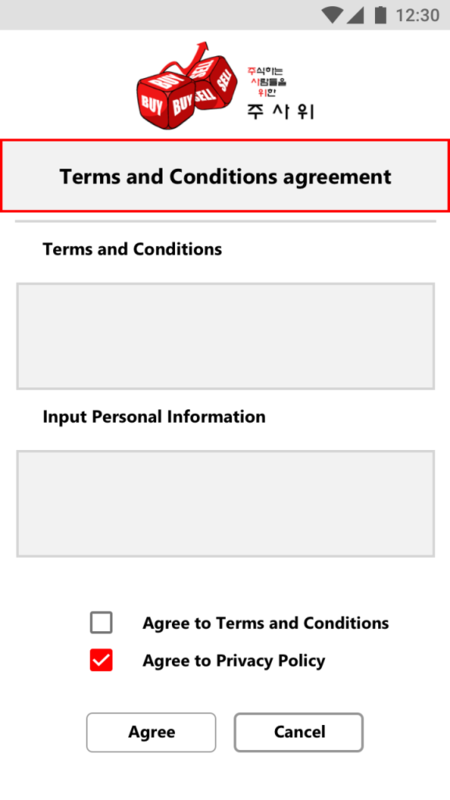 Registration: Quick registration process, view and agree to the terms and conditions. Afterward, enter unique identification and corresponding password. different number if ever required. News: Displays any vital information regarding the Korean Stock Market. 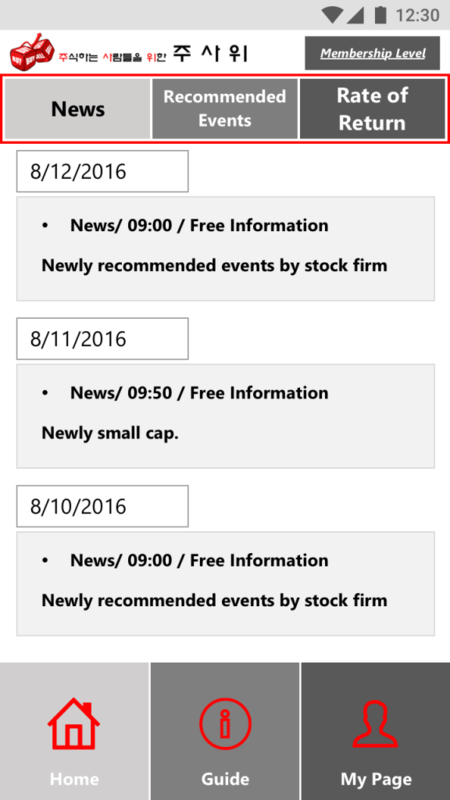 Major Events and Announcements: Displays informative information regarding any key declarations concerning the stock market. Recommended Events: Advice was provided by a panel of experts. The amount of recommendations will vary depending on membership. Rate of Return: The rate of return for a specific investment, each month, was estimated by a committee of professionals. The number viewable will depend on the subscription level. 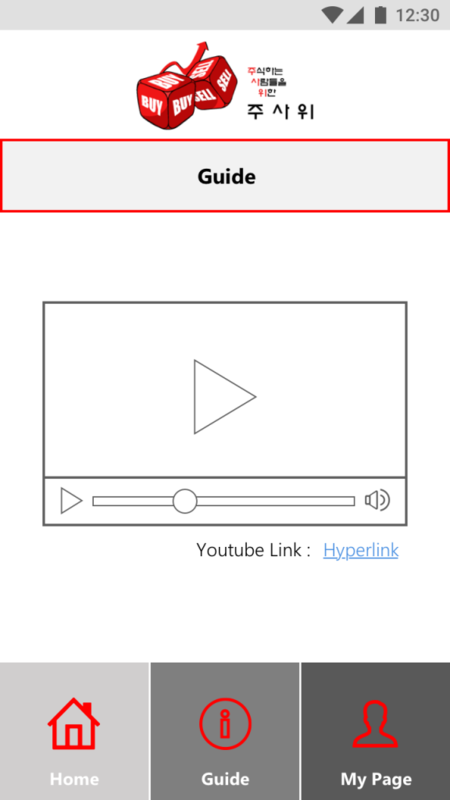 Guide: An extensive video guide to help the consumer easily navigate through the application. The web administration panel was created utilizing multiple coding languages. 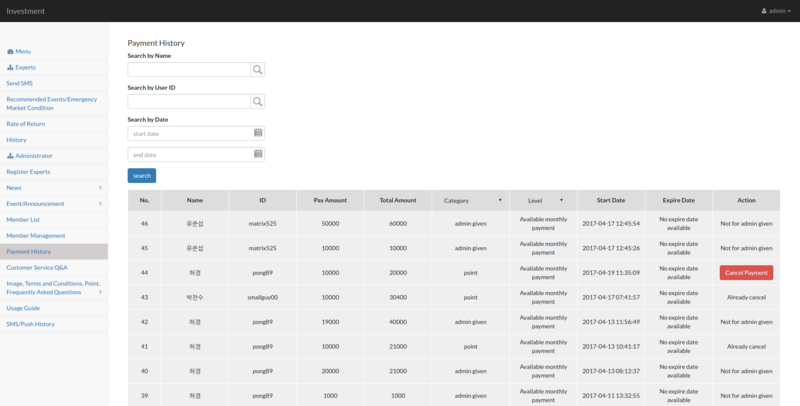 The front end was coded using PHP, while the database was coded with MySQL. Administrator (1): Complete access to all administrator pages. 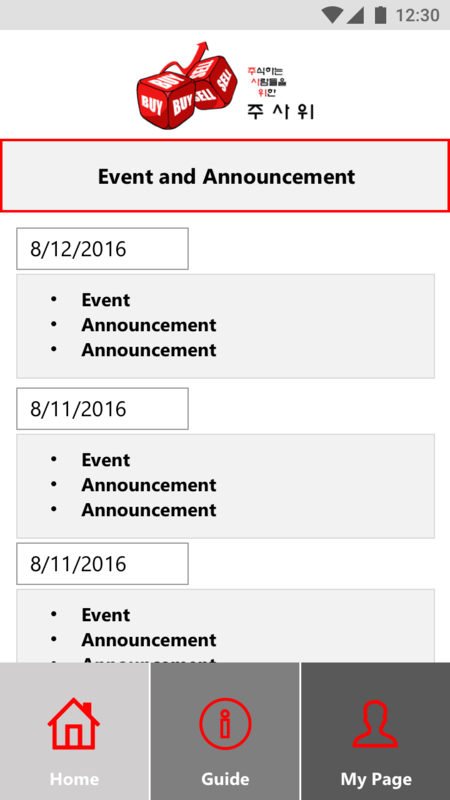 Event announcements are automatically registered whenever generated by an administrator or expert. Initially provide platinum membership (1- week trial) for all new members. Experts can send messages to members regarding any important news, announcements, or alerts, or payment notifications. All recommended events will be posted in the message board by individual specialists and delivered as a notification in the mobile application. All news, notifications, events, and rates of return are uploaded through the admin panel. The amount of notifications seen by each user is dependent on the type of membership. 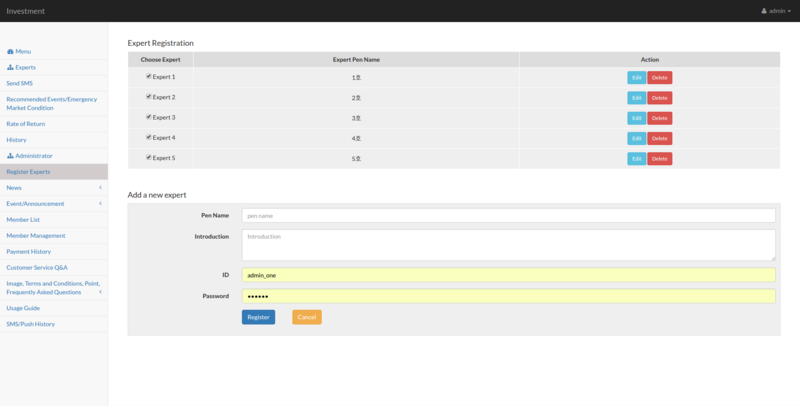 Other than the usually maintenance and input of major features such as rates of return, news, and recommendations, the web admin panel was used to control other aspects. Manage and sort through list of members. Register a board of professionals. Assign pen names to remain anonymous and edit if necessary. 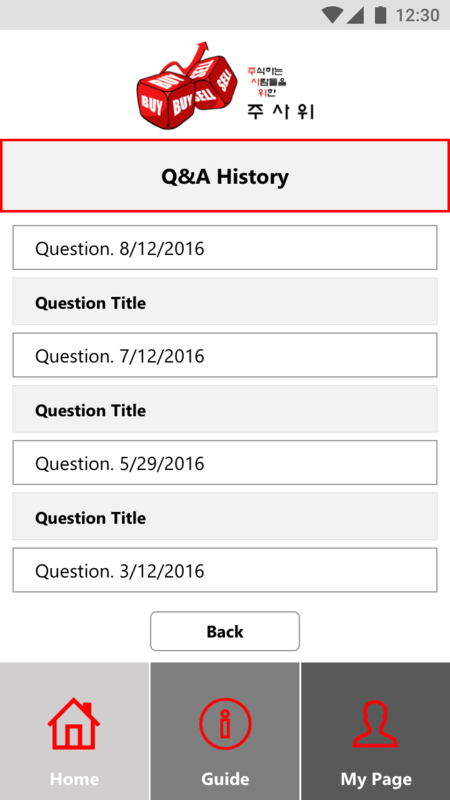 Add introductions to list all credentials and qualifications for each registered expert. Lastly, configure a specific identification and password. Manage all payment history in an efficient manner. 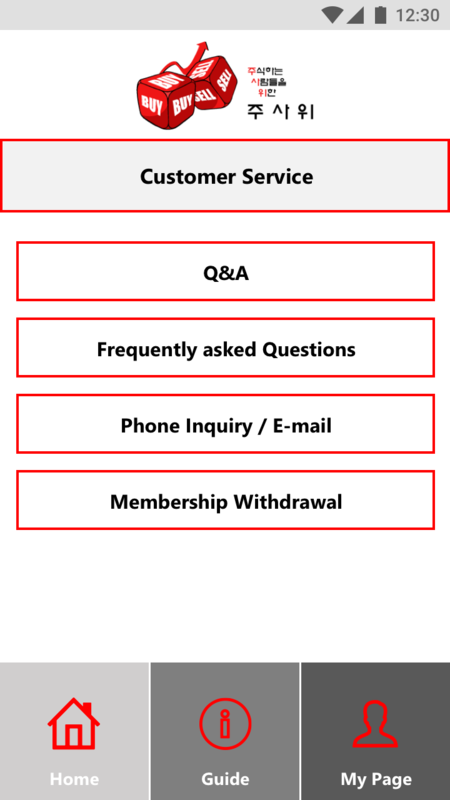 Assign the corresponding membership depending on the amount paid. Upgrade or downgrade subscription level depending on the payment. After completion of the project, the application was handed to PYC International. PYC inspected the product extensively and determined that it met all of their expectations. They were very pleased with the product and were impressed with the work ethics of Dream71 Bangladesh Ltd.